From the Malabar Coast in southwestern India, from the region around the port city of Thalassery. 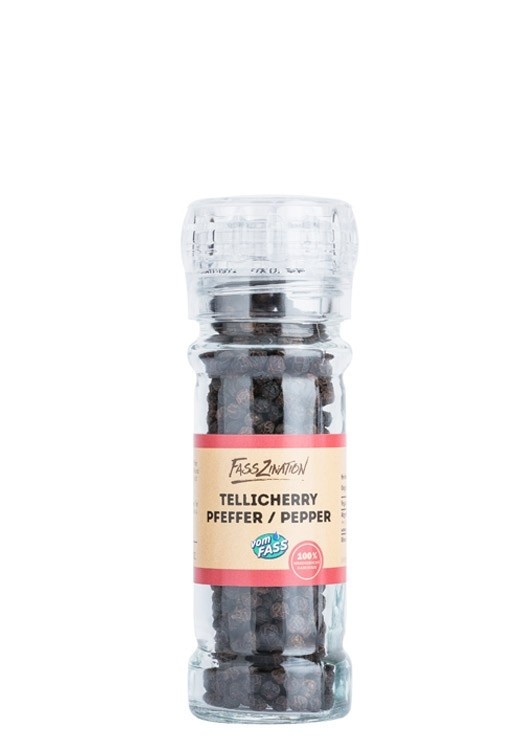 Tellicherry pepper is similar to black pepper, but tastes much more intense, more aromatic, nuttier, warmer and more noble. This is due to the later harvest, which is why the pepper berries are also larger than normal peppercorns.